Family Law: Trial Court Did Not Abuse Its Discretion In Denying Wife’s Requests For Attorney Fees. Wife’s Requests For Award Of Attorney Fees Under Family Code Sections 271 and 2030 Were Denied As Husband’s Conduct Did Not Warrant Sanctions Under Section 271, And No Disparity In Access To Funds Existed Between The Parties Under Section 2030. In Marriage of Whooley, Case No. B277145 (2d Dist., Div. 3 February 26, 2019) (unpublished), Husband and Wife entered into a partial settlement agreement to divide certain property and bank accounts. The trial court then divided remaining assets/community property, with consideration to Husband’s employment as an attorney and Wife’s lack of employment that was not likely to change considering the substantial care she provided for the parties’ autistic son, and additionally ordered Husband to pay Wife child and spousal support. In her trial brief, Wife requested attorney fees under Family Code sections 271 and 2030. Section 271 allows the trial court to impose fees and costs ‘in the nature of a sanction’ based on the conduct of a party or attorney who frustrates the policy of the law to promote settlement of litigation, and thereby reduce the cost of litigation, and does not require a showing of financial need. Wife claimed that Husband had escalated the litigation by disputing certain facts, but the trial court disagreed and denied her request for fees under section 271. In a later hearing, Wife made an additional request for $30,000 in future appellate fees and costs to retain another attorney. Six days before that hearing, Wife filed a late supplemental request for $230,080.90 in fees. The request for $30,000 was denied as Wife had not identified how her situation had changed to her detriment, and the supplemental request was disregarded due to the late filing. On appeal, the 2/3 DCA agreed with the trial court’s findings and affirmed. Family Law: It Was No Abuse Of Discretion For Trial Court To Find Marriage of 9 Years and 10 Months To Be A Long Term Marriage, Nor To Order Husband To Pay Wife Attorney’s Fees of $2,500. Husband Seeking To End Spousal Support Was Ordered To Continue Paying For Additional Five Years, Plus Needs-Based $2,500 Toward Wife’s Attorney’s Fee Due To Change In Circumstances After Entry Of Stipulated Judgment – Not Due To Court’s Determination That Their Marriage of Less Than 10 Years Was Long Term. In Marriage of Weiskittel, Case No. G055204 (4th Dist., Div. 3 February 25, 2019) (unpublished), Husband and Wife ended a 9 year and 10 month marriage – though they had cohabitated for years and had children prior to the marriage – with the court finding the marriage to be long term despite the fact that it had lasted less than 10 years. In issuing the judgment for dissolution, the court incorporated the parties’ stipulated judgment which defined the marriage as being of 9 years and 10 months, but was silent as to whether it was classified as long term, and provided that spousal support payments to Wife would continue until the death of either party, the remarriage, agreement in writing between the parties, or further order of the court. Later, Husband sought to end the spousal support payments claiming the marriage had been short term, that he had been paying for more than half the length of the marriage, Wife’s income had increased by $1,600 per month, and Wife was cohabitating with boyfriend who financially contributed to household expenses. Wife argued, however, that Husband’s income had increased by $2,000 per month, that she was no longer receiving child support payments for their oldest child who had turned 18, and that Husband was able to maintain the marital standard of living while she was not. After weighing all the factors, the court ordered Husband to continue paying spousal support for five more years and to pay Wife a needs-based amount of $2,500 for attorney’s fees. Husband was unhappy and appealed, arguing that the court had abused its discretion in determining the marriage long term, and for awarding Wife $2,500 in attorney’s fees. The 4/3 DCA upheld the lower court’s ruling. It found the lower court’s ruling to be based on a change in circumstances following entry of the stipulated judgment – not because the lower court had defined the marriage as long term – and was within its right to modify the spousal support and to award Wife $2,500 in attorney’s fees based on her needs and changes in the parties’ circumstances. Husband And Wife Had Litigated Themselves Into Financial Ruin, Trial Court Observed. In Thacher v. Thacher, Case No. B279985 (2d Dist., Div. 2 Jan. 3, 2019) (unpublished), the trial judge observed that husband and wife had litigated themselves into financial ruin in the dissolution case. After all, they had engaged in a 38-day trial on dueling domestic violence protective petitions, followed by a 6-day bench trial on dissolution issues and several hours on fees/sanctions requests. Wife had spent $1.2 million on the case, while husband had expended $603,000 (using three attorneys, including mother—who was a family law specialist representing him free at some later phases of the case). Eventually, husband was ordered to pay needs-based fees to wife in the sum of $87,500 and also ordered to pay $46,000 in 271 sanctions to wife. He appealed aspects of the prior dissolution order as well as the fees/sanctions orders. The 2/2 DCA affirmed. The prior dissolution judgment was independently appealable even though issues such as spousal support and fees had not been adjudicated; husband’s failure to appeal the dissolution judgment prevented any challenges to it. With respect to fees and sanctions, husband could show no abuse of discretion in the orders. He had three times the base annual salary as compared to wife’s salary, and he had money to pay the orders based upon his half of sales proceeds from a sale of the family house and funds leftover in trust accounts for his girls’ counsel. The record did show that 271 sanctionable conduct did take place, not to mention that wife was sanctioned for some conduct (with that amount offsetting to arrive at the net aggregate award). Opinion Demonstrates That Fees Must Be Specifically Targeted To Independent Conduct Not Previously Sanctioned And To Conduct For Which Due Process Concerns Are Honored. In Marriage of Bentley, Case No. H043593 (6th Dist. Nov. 13, 2018) (unpublished), the family law judge imposed various Family Code section 271 sanctions against ex-wife. Some of them were reversed and remanded for determination. First up, a$10,000 sanctions award was too much because it included the amount of a prior discovery violation sanctions order (put another way, a “double dip”). Second, ex-wife could not be sanctioned for not showing up at an ex parte hearing because she had no notice she could be subject to sanctions. Third, she could not be sanctioned for failing to show up at scheduling conferences because she was not ordered to be present and she appeared through an attorney. Gotta Have Causation, Family Law Practitioners! Okay, we have posted before on sanctions awarded against litigants in a family law dissolution or related matter under Family Code section 271, which is aimed at dissuading conduct which is frivolous or not targeted at resolving the matter. The facts in Marriage of Karuppiah and Thurairajah, Case No. D071601 (4th Dist., Div. 1 Oct. 31, 2018) (unpublished) are not important because a $10,000 section 271 sanctions award was vacated. The problem was that the winning litigant must “tether” the request to attorney’s fees and costs actually incurred—a causation principle. Because that was not done in this case, the $10,000 award was invalid. There Was A Disparity In Assets/Cash Flow So As To Justify The Award. The appellate court in Marriage of Azmoon, Case No. B277654 (2d Dist., Div. 7 Oct. 23, 2018) (unpublished) affirmed a $75,000 pendente lite attorney’s fees award to ex-wife under Family Code sections 2030/2032/4320. It was made payable $5,000 per month and the record showed that wife’s monthly expenses outstripped her income, ex-husband had much more income and assets upon which to draw, and ex-wife was the primary caregiver for their daughter. Beyond that, ex-husband did not file an opposition such that there was no great basis for a continuance to allow for a future submission of opposing papers. The amount of the fee award was sustained because the court can use its own observations as to how much is needed given the conduct of the parties in the litigation. Trial Judge Denied Fees Request Without Prejudice, So It Could Be Renewed. In Jordan v. Binford, Case No. F075265 (5th Dist. Oct. 5, 2018) (unpublished), ex-husband lost a contempt proceeding in which he alleged that ex-wife willfully disobeyed a custody and visitation order. Ex-husband also sought to recover attorney’s fees from his ex-wife. The lower court observed that usually a successful party in a contempt proceeding could obtain fee recovery (Code Civ. Proc., § 1218(a), but that situation was not present. However, the lower court asked ex-husband if he was seeking a needs-based award, to which he affirmatively responded. But ex-wife objected because no income and expense declaration had been filed. The lower court denied the needs-based fees request without prejudice, indicating it could be refiled complete with an income and expense declaration. Ex-husband appealed. The Fifth District affirmed. The contempt order appeal had to be dismissed because the contempt ruling could only be reviewed by a writ of habeas corpus, given that the proceeding is quasi-criminal in nature. With respect to the fee order, there was no abuse of discretion because no financial evidence was presented so that the lower court could properly rule on the needs-based fees request and the lower court did not foreclose ex-husband from renewing the request with proper financial data. No costs were awarded on appeal, given that ex-wife did not even file a respondent’s brief. No Abuse Of Discretion Shown. Ex-wife’s challenges on appeal could not overcome the abuse of discretion standard, given she had the burden of proof on both the fee and sanctions grounds. The DissoMaster showing was good enough alone, but ex-wife’s “trial tactics” could not go ignored—even though both parties were at fault in over-litigating the matter. Here, Appellate Court Determined Record Showed Financial Gulf Such That Fee Recovery Was Mandatory, Remanding To Determine Amount Of Fees To Be Awarded To Ex-Wife. In Marriage of Morton, Case Nos. F073689/F074243 (5th Dist. Sept. 26, 2018; reposted for corrected version on Oct. 1, 2018) (partially published; fee discussion published), the Fifth District concluded that amendments to Family Code section 2030, the “needs-based” fee provision, require lower court to make explicit findings on the need factors set forth in section 2030(a)(2) and then require a mandatory fee recovery if those factors show a financial disparity or inability to pay by the moving dissolution litigant. The findings can be in writing or made orally on the record. In this instance, the findings were not made, so that left the remedy on appeal—either a remand to make the findings or remand to determine the amount of fees to be awarded to ex-wife. The Court of Appeal concluded that the record clearly showed disparity/lack of an ability to pay, so that the remand was made to determine the amount of fees to ex-wife plus any fees for winning the appeal as determined in the discretion of the lower court. Neither Side Enjoyed A Substantial Financial Advantage Over The Other, Plus Ex-Husband’s Emails Showing He Intended To Make The Case “A Battle Of Attrition,” Justified Denial Of The Fee Request. Family Code section 2030 is a needs-based fee shifting provision which allows a family law judge to “level the playing field” by ordering one side to pay the other side’s attorney’s fees where the circumstances show a financial advantage by one side and other circumstances justify such a shifting of fees. Ex-husband, in Marriage of Papageorges, Case No. G054776 (4th Dist., Div. 3 Sept. 24, 2018) (unpublished), brought a 2030 request for ex-wife to pay $35,000 out of $58,000 in attorney’s fees which he incurred. Ex-husband also criticized the work of one of his former divorce attorneys. Ex-wife had incurred about $25,000 in fees, with ex-husband sending some improvident emails indicating he was going to make the dissolution matter a “very long, long battle of attrition,” threatening to involve the media, and observing that he was going to “start the meter and spend her money.” The trial judge denied the fee request, finding that discrepancy on what was spent was inexplicable and that ex-husband had driven up the costs based on his “battle of attrition” mentality. The Fourth District, Division 3, in an opinion authored by Justice Goethals, affirmed. No abuse of discretion was shown in denying fees, given that (1) ex-husband provided no justification for the substantial difference in fees he incurred versus what his ex-wife incurred, (2) neither party enjoyed a substantial financial advantage over the other as far as assets and marital income, and (3) ex-husband’s emails showed that his own conduct had contributed to the fees for which he requested 2030 fee shifting. We definitely believe that ex-husband’s emails hurt his cause before both the lower and appellate courts, which signals to litigants that they need to be careful about what they say in emails—they can and will be used against you! Appellate Court Found These Combined Errors To Require A “Relook” At the RFO. Family law is certainly a specialty, where a lot gets done through a Request for Order (RFO) for support, provisional attorney’s fees, visitation, and other matters in a dissolution action. A lot of activity is governed by Judicial Council forms, with civil detailed legal memorandum not seen very much unless there is a complex issue or maybe in a trial brief in a complicated case. The next illustrates how a family law judge was reversed for not giving a little more leeway under the RFO process. In Marriage of Bazar & Shorr, Case No. B275808 (2d Dist., Div. 7 July 31, 2018) (unpublished), ex-wife sought need-based Family Code section 2032 attorney’s fees and costs to have a limited appearance attorney defend her (she was mainly acting in pro per in the dissolution action) in ex-husband’s motion to declare her a vexatious litigant. The family law judge, after several hearings on RFOs from ex-wife, only awarded her $2,500 in fees out of a requested $42,341 in fees and costs. The appellate court reversed after ex-wife appealed. First, the family law judge incorrectly refused to consider one RFO because ex-wife did not attach Judicial Council FL-158 (“Supporting Declaration For Attorney’s Fee and Costs”) and FL-157 (”Spousal or Partner Support Declaration Attachment”). In doing so, it distinguished how the process goes: “We acknowledge it is preferable from the court’s perspective to have all necessary information relating to the requesting party’s needs and the responding party’s ability to pay the other side’s attorney fees in the moving papers. But as Bazar’s counsel emphasized at the hearing on the first request for fees, the court’s reasoning creates a Catch-22 for a self- represented litigant in family court where, as here, that party must respond under a deadline to a request for order filed by his or her former spouse: The self-represented party cannot request an order for pendente lite attorney fees without first conducting discovery about his or her former spouse’s current financial situation; but without first filing a request for order for fees, discovery regarding the former spouse’s financial situation is not authorized. Moreover, without an order awarding fees, the self- represented litigant generally cannot afford an attorney to conduct discovery, to respond to the request that triggered the new proceedings or even to seek to continue the substantive matters until the fee issues, as well as any discovery disputes, have been resolved.” (Slip Op., pp. 13-14.) The reviewing court also noted that there was no prejudice to ex-husband, because was able to provide a meaningful response to the RFO. Second, the family law judge erroneously failed to consider ex-wife’s Income and Expense Declaration (FL-150) because she left certain items blank rather than putting zeroes in the form, which was in derogation of a Los Angeles County Superior Court Local Rule. The appellate court viewed the refusal to consider as tantamount to a terminating sanctions order, which was not justified given ex-wife’s substantial compliance and the fact that an OSC notice of not considering the Declaration due to these defects should have been given to her. Third, in light of the previous flaws, the family law judge erred in not considering the fees and costs that ex-wife paid to her limited appearance attorney when adjudicating her RFO. Evidence Code Section 730 Makes Reasonableness A Requirement. In Marriage of Aresh, Case No. G054062 (4th Dist., Div. 3 July 25, 2018) (unpublished), an ex-husband was saddled with a $179,561 award to a court-appointed forensic accountant in a dissolution matter. He appealed and was awarded by doing so. The problem was that Evidence Code section 730 determines that such an award must be reasonable in nature, and the lower court held no hearing to determine if that was the case. So, it was reversed and remanded for an evidentiary hearing. Justice Aronson authored the 3-0 opinion. Family Law: In Fletcher Jones, Jr. Dissolution, $5.8M Fee Award Of Requested $9.5M To Ex-Wife For CA Litigation Not Abuse Of Discretion, But Remanded To See If Ex-Wife Entitled To More Than $375K For NV Litigation Where She Failed To Invalidate Agrmnts. Remand Necessary In Nevada Litigation Because California Family Law Judge Improperly Took Judicial Notice Of Factual Finding By Nevada Court In Denying A Request For A Reimbursement Of Additional Fees. Admittedly, the Fletcher (Ted) Jones, Jr. dissolution case was going to be messy—after all, the couple lived a lavish lifestyle based on lucrative luxury car dealerships/ leasing businesses. The dissolution took on litigation in both California and Nevada, with California dealing with standard issues (status, parenting schedules, and child/spousal support) while Nevada dealt with the issue of whether the three prenuptial/postmarital agreements were valid/enforceable. The family law judge ordered Ted to pay Kimberly $375,000 in attorney’s fees so that she could do war in the Nevada litigation. After a 23-day trial in California, the family law judge ordered Ted to pay Kimberly $120,000 per month in child support for three children, $245,000 per month in spousal support, and $5.8 million in attorney’s fees (just for the California litigation). What he refused to do was order Ted to pay another $3.7 million in fees requested by Kimberly, which would have totaled about $9.5 million in fees altogether. Kimberly did not do well in Nevada. After a 31-day trial, she lost the attempts to invalidate the three agreements, with the Nevada court ordering her to reimburse Ted $4 million for his attorney’s fees and costs. Kimberly requested the California judge to award her more than the $375,000 in fees for Nevada work, but he refused after taking judicial notice of the Nevada judgment and factual findings associated therewith. Kimberly appealed, partially losing but gaining a shot again at the Nevada fee reimbursement request (although one wonders how successful this will be), in an unpublished opinion authored by Justice Moore in Marriage of Jones, Case No. G053394 (4th Dist., Div. 3 July 18, 2018) (unpublished). The appellate court agreed that the $5.8 million California fee award was no abuse of discretion. It found that the California litigation involved standard issues and was over-litigated on Kimberly’s side. However, it did find that the trial court incorrectly determined that it was legally precluded from ordering Ted to reimburse Kimberly for fees related to the Nevada litigation, given an earlier appellate decision finding that “related” proceedings could allow a California judge discretion to award for work in them. (See our post of May 14, 2015 on the earlier decision.) The family law judge decided he had no fee adjudication powers with respect to the Nevada action, with exclusive jurisdiction being in that court such that the judgment there was binding under res judicata/collateral estoppel principles. The 4/3 DCA panel disagreed because the Nevada action involved the three agreements versus the more standard issues which were germane in California. However, the appellate court was uncertain that Kimberly was prejudiced, but gave her the benefit of the doubt given the California family judge took judicial notice of “toxic findings” in the Nevada judgment about her Nevada-based litigation behavior—which might have tainted things. So, the matter goes back for a remand on the Nevada fee issue. BLOG OBSERVATION—The California appellate court awarded Ted his costs on appeal. While we do not know the fees spent on this appeal (or the additional fees being expended in Nevada by the parties), we can tell you that the ex-couple at a minimum likely spent $10 million apiece, if not more, between the California and Nevada cases if our math is anywhere close to correct by the time this decision was issued. Sixth District Follows First District’s Lead As Far As Section 271 Sanctions Limitations. In Marriage of Henley & Jackson, Case No. H043753 (6th Dist. June 29, 2018) (unpublished), a family law judge imposed Family Code section 271 sanctions of $25,000 against husband for his efforts to sell a community asset without notice to wife, even though she incurred no attorney’s fees and costs in the process. That, among other issues, were reversed and remanded on appeal, by husband. The Sixth District adopted the reasoning of the First District in Sagonowsky v. Kekoa, 6 Cal.App.5th 1142, 1144, 1157 (2016), which held that misconduct over beyond fees/costs actually incurred was not within the reach of section 271. Both Sides Had Paid Or Owed A Cumulative $1.841 Million In Dissolution Proceedings. We are not sure that the appellate court was happy with any of the parties in this case that we now report on. After all, in the dissolution saga, ex-husband had paid attorneys $900,000, still owing $70,000, while ex-wife had paid $241,000, but owed her current attorney about $530,000. However, given this tremendous expenditure of about $1.841 million if our math is correct, looks like the appellate court kept its objectivity intact. In Marriage of Stupp & Schilders, Case Nos. A146301/A148051 and A148382 (1st Dist., Div. 2 May 30, 2018) (all unpublished), the appellate court principally was reviewing discovery sanctions and Family Code section 271 sanctions against ex-wife and the denial of Family Code section 2030/2032 needs-based fee request by ex-wife. (The discovery sanctions against ex-wife totaled $8,971 [either in favor of ex-husband or his attorney] and $2,500 section 271 sanctions in favor of ex-husband). On the separate needs-based request, ex-wife sought $370,000 in fees from ex-husband, but the trial judge denied the request finding the parties were essentially in the same financial position. The section 271 sanctions and denial of needs-based fees, with respect to ex-wife, were both reversed on appeal. Section 271 sanctions. The discovery sanctions did get affirmed against ex-wife. However, the section 271 sanctions were overturned because the appellate court believed that this was a “double dip” award which was unfair given that the pain already was inflicted and ameliorated through the discovery sanctions award. Needs-Based request by ex-wife. This one got reversed based on the record showing that the disposable monthly income was not “close” in nature. Ex-husband did have much more resources, such that he had much more of a “war chest” such that a restudy by the family judge law was required, although the appellate court astutely did not pass on what should be awarded—if anything—on remand. 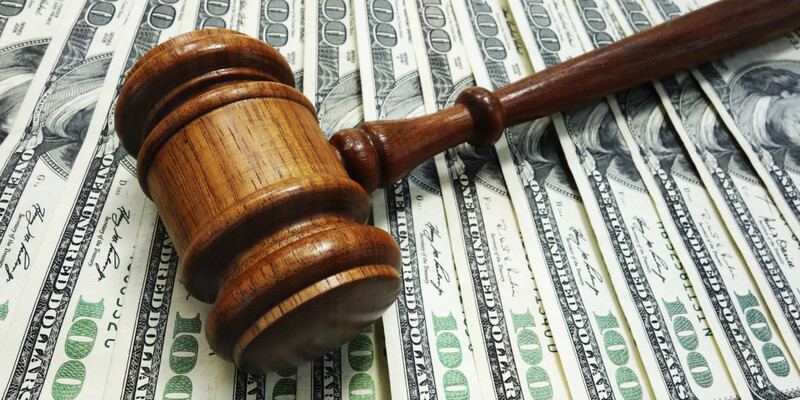 Family Law: Ex-Husband Receives Full $138,000 Of Fee Request Against Ex-Wife For Modifying Support Order And Ex-Wife Only Received $10,627 In Fees Out Of Requested $159,783 Fee Request Against Ex-Husband Under Family Code Section 271 Sanctions Provision. Ex-Husband Obtained A Lopsided Win, With Both Parties Expending $1 Million In Litigation Costs Since Separation. Attorney’s fees awards in family law setting are extremely discretionary and the end rest of litigation costs for both parties along the way, even with some reimbursement awards allowed, can certainly make destitute or bankrupt any party. This is well illustrated by what occurred in Marriage of Turnbaugh, Case Nos. A1496157/A1510805 (1st Dist., Div. 1 May 24, 2018) (unpublished). In this situation, both sides had expended $1 million in litigation costs since separation. (Yep, this is no typo.) Ex-husband sought $138,000 from ex-wife under Family Code section 3652, which allows the court to award fees and costs to a prevailing party for obtaining an order modifying, terminating, or setting side a prior support order. He did obtain a reduction in support and did not have to pay private school tuition for his two boys based on a declining financial condition. That fee request was granted in full. Ex-wife obtained $10,627 out of a requested $159,783 in fees under Family Code section 271’s provision against ex-husband. Ex-wife appealed the Family Code section 3652 award to ex-husband. The appellate court affirmed. Although there is no definition of “prevailing party” in section 3652, courts in other situations use a practical approach, which was adopted as the standard by the reviewing panel in this cause. Here, the outcome was lopsided in ex-husband’s favor such that no abuse of discretion occurred in granting the “full boat” fee request. But No Appellate Fees Awarded To Ex-Husband. In Marriage of Reed, Case No. G050666 (4th Dist., Div. 3 May 15, 2018) (unpublished), ex-wife was assessed with $20,000 in sanctions under Family Code section 271 and another $5,000 in sanctions for breach of fiduciary duty for failure to disclose the existence of a community property pension, both in favor of ex-husband. Wife’s appeal failed to surmount the deferential abuse of discretion standard. The many continuances, delays, and no-shows by ex-wife meant that ex-husband had to repeatedly submit income and expense declarations and his counsel had to go to court unnecessarily, justifying the section 271 sanctions. Three Family Code provisions—section 1101(g), section 2107(c), and section 271(a)—collectively give the court authority to order sanctions and pay attorney’s fees for breach of a party’s fiduciary duty of disclosure, which would encompass failure to disclose the existence of ex-wife’s retirement plan and with the appellate court observing that the lower court was lenient in only imposing $5,000 in sanctions. Ex-husband asked for an award of fees on appeal, but that was denied because ex-husband failed to provide any financial information of ex-wife so as to justify an award under Family Code section 2030 and because the reviewing court on its own raised the key jurisdictional issue such that section 271 appellate sanctions were unwarranted. Justice Fybel authored this 3-0 panel opinion. Spousal Support Is Income For Purposes Of Interpreting Section 271. In Marriage of Pearson, Case No. D070360 (4th Dist., Div. 1 Mar. 12, 2018 partially published; fee discussion published; other parts of opinion modified Mar. 27, 2018), the 4/1 DCA decided that a trial judge did not err in ordering that Family Code section 271 sanctions against an ex-wife could be paid for by ex-husband’s deduction of the sanctions from the variable component of his spousal support obligations (in this case, future bonus payments).